There's a new place for yoga downtown brought to you by a Newark native, Khayatollah Muhammad. She has two classes on Thursday evenings from 5:30-6:30 and 7-8pm at 58 Park Place. Below is a Q&A with Khay. 1. What Was Your Path From Growing Up In Newark To Yoga? My path from north Newark to yoga has been a winding one for sure. In a way those two words: Newark and Yoga, seem diametrically opposed. Yet when I think back to the values of my childhood and growing up down the street from Branch Brook Park, I begin to see how those two words relate. Almost immediately after graduating from college, I found myself pursuing modeling and art in New York while living in Brooklyn. This was just the beginning as I hadn't yet met Yoga but felt like a puppy scratching at the door, begging to run free -and I did! My first stop was Cape Town, Africa. When I returned home my co-worker introduced me to yoga and I immediately traded in my gym membership for a yoga membership in Williamsburg, BK. There, I studied with teachers who I found to be knowledgeable and respectful to this ancient tradition that is Yoga. I journeyed with said teachers all over the world on retreats to deepen my practice and appreciation of nature: I practiced in Guatemala, Tulum, and of course -in India! 2. What Brought You Back To Newark? My return to Newark was brought on by the need to step away from and out of the famous 'New York hustle'. After roughly 7 years of NY living, I began to miss both my close knit family (all residing in NJ) and the trees of New Jersey. Practicing yoga abroad really afforded me peace and the space to hear what I needed to become a great teacher. Through asana and meditation, both my body and spirit felt fortified - I had finally struck the balance that I witnessed in nature decades earlier! Three yrs ago, a dear friend who founded The Lil' Raggamuffin Summer Camp in Jamaica invited me to teach to the children there. Finally my path, lead me to give back. The experience was so humbling and so special that I continue to return there each and every summer. 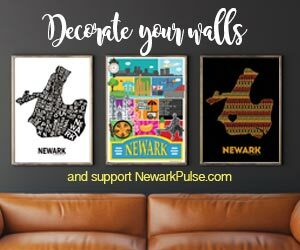 Now I have the opportunity to share with the greater Newark community. So to answer the question of what brought me home to Newark... Well i simply want to share what I've learned: that no matter the difference of gender, class, race, location or belief Yoga can help us strike the balance between the city and the godly. 3. What Type of Yoga are you offering? When you attend a Khayatollah Yoga class you will receive super helpful verbal and hands on adjustments that will strengthen the body's structure and your muscles. My verbal adjustments are colorful metaphors that really expand and play with your imagination -when is the last time you used that muscle?! In class I invite students to 'play with the edge,' to warm-up, strengthen, and lengthen their bones and especially their spines. My classes tend to be Open Level (beginners - advanced practitioners) and my certifications are in both Vinyasa and Prenatal Yoga. I personally study and love several branches of yoga and Pilates, I'm kind of a yoga nerd, and so I bring those elements into class as well. For instance, students may do a Kundalini inspired warm-up with a Hatha Inspired cool down. My first love is Music so you will practice to tunes by MC Yogi -my fav Pandora station right now, and I will likely sing to you with live guitar accompaniment while you lay in Savasana. How sweet does that sound?! 4. What is the future for Khayatollah Yoga? Khayatollah Yoga has some really exciting future projects coming down the shoot like my first yoga retreat in the Blue Mountains of Jamaica, my Khayatollah Yoga Mixtape DJ'd by yours truly, and a super original T-shirt line under the same name. While in California this past fall I shot my first episode of Khayatollah Yoga -you can practice with me for free wherever you are just click here: http://youtu.be/7mSRPrwjkM0. Simply subscribe to Khayatollah Yoga Youtube channel to check out my monthly video newsletters and all my tops picks for yoga sequences, favorites songs, and fun facts!